While in the planning process for a new deck you will likely have some ideas about what that deck will look like, But what will make your deck a quality one might not be as clear. Look down. The foundation of your project can make or break the quality of your deck. Make sure that your new deck gets a good start with a great deck foundation. Colour, design, size. These are all things you have control over when building that new deck but what elements do you look for in assuring your deck is stable, sturdy and long lasting? The following four factors are important to consider when choosing your contractor. While low-maintenance decking products have increased the lifespan of the average deck, insist on a foundation that won’t compromise that longevity. Like your home, the foundation of your new deck is likely the most important part of the structure. There are many ways to lay the foundation of a deck, but many of those are not quality and won’t stand the test of time. 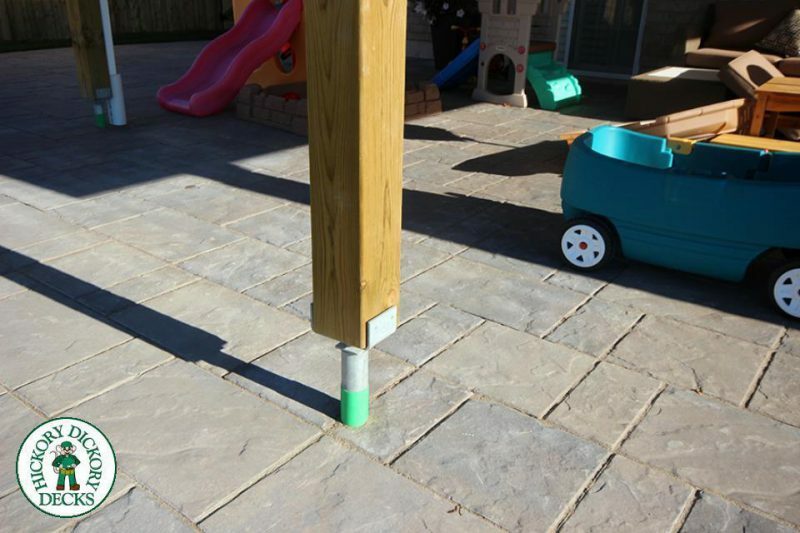 A deck built with posts directly on the ground or in the ground will always be a prey to frost and moisture. A foundation that is susceptible to all the earth has to offer. Mould and rot will not be far behind when the foundation of your deck lays in the ground. A deck that sits on cement blocks is also at risk. The grade of your property can change. A deck that floats, is not the most stable structure, and will always fight to stay level. If you are planning to have your deck installed with concrete footings, this will go along way in securing the foundation. Poured concrete footings go 4-5 feet into the ground, giving your new deck a substantially solid foundation. Though often messy and time-consuming, this is still a great way to anchor a deck. Historically, helical piers were reserved for commercial application. More and more they are being used in residential applications and for good reason. Helical piers are drilled at least 5 feet into the ground. They adhere to a torque reading provided by your engineer. Once that reading is achieved, your deck will be guaranteed never to move. 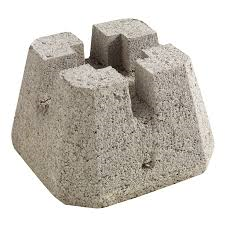 Like many things in life, a great foundation is a must. A new deck is an investment and a stable foundation will secure your investment and will give you years of enjoyment on your new deck. Likewise, a deck without a solid foundation will not last long. Make a great foundation for the beginning of your quality deck building project.